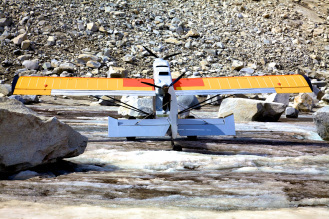 The Dou﻿bleEnd﻿er concept came to existence after spending over a decade bush flying in Africa and Alaska. This is where it was born, and it was bred to be the ultimate platform for flying in a wild and remote environment, one where safety, performance, and visibility are all extremely crucial. 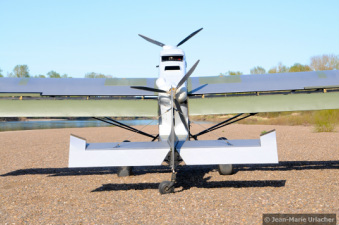 It is in some sort an evolution, a next step towards redefining the modern bush plane. After a few years dreaming about the concept, it started to be designed in 2007. Safety was the single most important factor when creating the aircraft, and the rest was built around it. 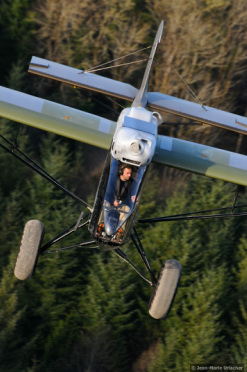 It was designed to counter the most common causes of accidents for this type of flying. It was then given the greatest amount of visibility one can imagine, something more along the lines of what is commonly found in helicopters, rather than fixed wing airplanes. The instruments have been reduced to the bare necessary. The performance has been maximized and geared towards manoeuvrability and slow flight. With 260 horsepower available to the pilot, the power to weight ratio exceeds what is normally found in this category of airplane, giving it extreme performance in regular conditions, while retaining enough power to keep you going in the event of an engine failure. The prototype first flew in 2010. After the initial test flights and hours built up around its home airport, it was headed to Alaska. This is where the real testing happens. In order to create a true bush plane, the only place to test it is in the environment it was designed for. This is not a forgiving environment, this is the real thing, one where any failure confronts you to the reality of the glaciers and forests you are flying over. Here, reliability is not a luxury, it’s a necessity. It was evident early on during the testing phase that this new design had very good potential for the mission it was built for. This gave us the motivation to keep refining the machine and to tackle every area that could be improved upon. Now after more than 7 years evolving our creation, we're continuing to make it even better. Over this period of time, the prototype airplane has seen 4 different wing configurations, 3 kinds of flaps, 2 airfoils, 3 types of roll spoilers, 4 different ailerons, 3 horizontal stabilizers, and 2 vertical stabilizers. After testing so many aerodynamic modifications, the key is to find the perfect combination between all the components, the perfect recipe if you will, so that when put together with the right ingredients everything works in conjunction to create one seamless design. Single engine performance is a critical aspect of any twin engine airplane. All too often piston powered twins have marginal performance after an engine failure, and this was not acceptable to us given the environment we like to fly in. We needed a platform which enabled us to fly over any terrain, at any altitude with the comfort of knowing that an engine failure would be a non-event. In its current design the DoubleEnder is able to climb on one engine at several hundred feet per minute at sea level and able to maintain altitude at 2300 pounds at 10,000 feet! It can even takeoff on one engine. And should you find yourself in an emergency needing even more performance, then as a last resort you would simply pull the red lever next to your seat, which will open a trap door in the auxiliary fuel pod, allowing you to dump over 300 pounds of fuel in a matter of seconds. Safety comes in many shapes and forms, and single engine performance is just one cog in a larger picture. How and when an airplane stalls is just as important of a factor. This is why leading edge slats were incorporated in the design from the onset. The slats redefine what critical angle of attack means. They allow you to fly the airplane at a much higher angle of attack before stalling out, and give the airplane a “solid” feel when landing and taking off at slow speeds. If you do push the limit into the stall, the break is gentle and the airplane mushes down. This low speed manoeuvrability factor is crucial and provides a margin of safety that is not commonly found in fixed wing airplanes. The push-pull design was necessary to maximize the single engine performance, but mostly to avoid any directional instability during an engine failure. This airplane was designed to fly in tight places, where one can’t afford any kind of deviation during an engine problem. You also do not have to worry about any Vmc (minimum controllable airspeed) contrary to most twins. An engine failure is a non-event, you simply push the throttle forward on the good engine and keep going. If all this is not enough to keep you up in the air, and for some unforeseen reason gravity takes over and brings you back down to earth, then the roll cage we have designed around the pilot takes over. The fuselage was designed to absorb the forces of an impact, and protect the pilot and passengers. 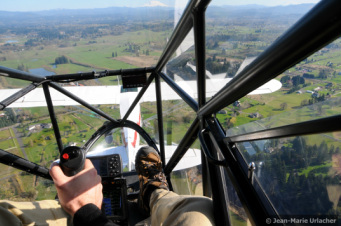 All these safety factors have been built into the airplane in order to allow the pilot and his passengers to enjoy the experience, while having the peace of mind that this airplane can address some of the common safety issues inherent to bush flying. So what about performance? While the aerodynamics allow you to approach a landing spot around 35 mph, and the unlimited forward visibility offers you the opportunity to easily see and avoid the obstacles in your path, while giant tundra tires absorb any rocks that are in your way, the world starts to become a playground. With 260hp pushing and pulling you, the DoubleEnder is off the ground in just a few airplane lengths. Should there be an obstacle to clear after takeoff, pull back even further on the stick and it is able to climb at very steep angles thanks to the slats and the power. The bubble canopy provides the pilot with a view that is really unique in an airplane. Being able to see right down to between your feet is a real thrill. It allows you to remain at all times in visual contact with your landing spot, something very useful when landing in areas with obstacles to avoid on the ground. The S-turns normally done while taxiing a conventional tail-dragger become a thing of the past. And then there’s the sensation it gives you while flying, it’s almost more akin to what you would feel in a helicopter. Flying over riverbeds or down canyons and seeing the scenery unfold in front of you is a unique experience, imagine the I-Max theatre but you’re in control. These are some of the features that make this plane unique. The design is constantly evolving. Currently we are designing our next version, a side-by-side iteration of the DoubleEnder, where a passenger can enjoy the same view as the pilot.